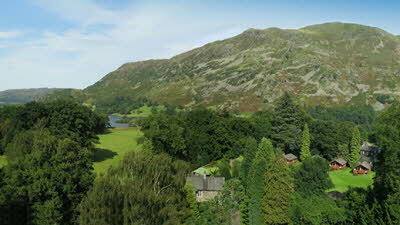 Our CL is set in the heart of the Lake District in the beautiful Dovedale Valley about 3 miles from Patterdale. Pets and children are both welcome at the site. There are a wealth of walks that can be taken straight from the site and many more attractions in the nearby towns of Ambleside and Windermere. All 5 pitches are hard standing with electrical hook ups and grass alongside. Facilities include a shower, toilet, laundry and dishwashing facilities which are shared with the adjoining campsite. Mountain Goat pride themselves in venturing off the beaten track. 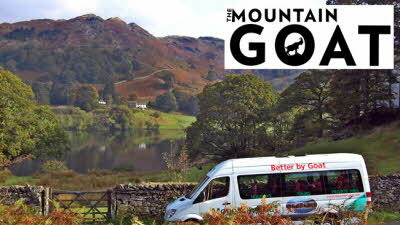 Passengers experience the culture, history and fantastic sights on board as they climb the Lakeland Fells like a mountain goat. 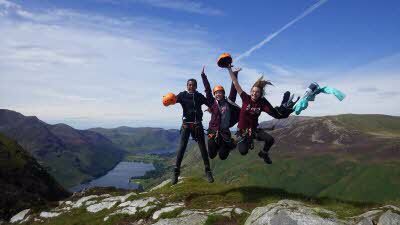 Located at the head of Honister Pass in the centre of the Lake District, Honister Slate Mine offers a range of indoor and outdoor adventures for a range of ages and abilities. Honister is also the last working slate mine in England and home to the iconic Westmorland Green Slate. Free hot beverage upon presentation of the voucher when participating on any of our activities. This was the first time that we have visited this site. As mentioned by a previous reviewer the access to the CL site and pitches is a bit tight , but once in the pitch we found the location to be very peaceful and quite. 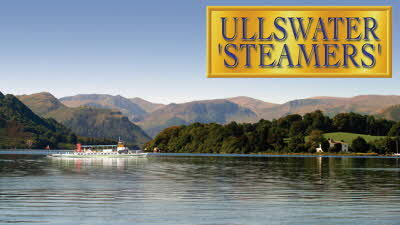 There are numerous walks locally from a gentle stroll to Brotherswater to full on hill walking. My only 2 concerns were:- 1. The showers were unpleasant as they come on cool, then scalding hot for 20 seconds then luke warm for the rest of the shower and there is no control over the shower temperature. 2. We ran out of milk and the site could not sell us even a bottle of milk as the shop is not open in low season and the nearest shop is 3 miles away. Stayed here overnight while my parents stayed in The Brotherswater Inn overnight. Really friendly welcome to a site in beautiful surroundings. The only tiny issue I had, was the door to the toilet block slamming every few minutes early evening. That can be rectified easily and certainly didn't spoil my stay in the lovely valley. 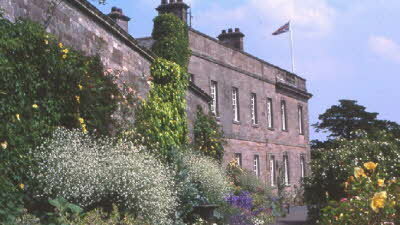 The Inn is worth a look too. Friendly with good beer and the breakfasts looked lovely. Wish I'd had one now! It can be tight to get round..
A nice site in a beautiful setting. We spent 6 nights there and found everything ok, l used the showers but the wife decided to use the one in the caravan. if you have a large caravan, its very tight getting into the CL pitches. Drive Carefully.. Nice caretaker chap who is more than helpful and a nice crowd in the restaurant/pub. Food portions are large, our dog was more than happy to oblige. Overall was happy with our stay. 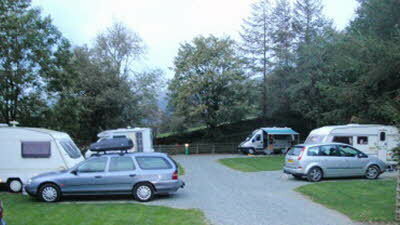 We stayed on the Caravan Club CL site. 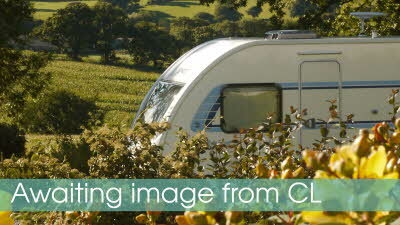 The Caravan Club explicitly says that CL sites are small five-pitch sites exclusively for members. So I was rather disappointed to find the five-pitch CL to be just an annex of a bigger site owned run by the same pub and sharing its facilities. That said, we were warmly welcomed and as we were there two hours before the official check-in time offered space in the pub car park so we could go off for a walk. 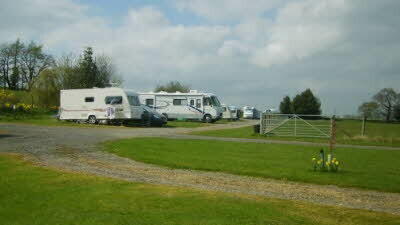 The pitches enjoy stunning views of the surrounding valley and are quite sheltered. The facilities are reasonable. The showers are hot and powerful but have no curtain or shelf for your toiletries. We went for a drink at the pub and were shocked they charged pub customers £1 per hour for wi-fi - I've never been asked to pay for wi-fi when spending my cash in a pub before. The pub was crowded (and this is off peak) and there was a terrible smell which seemed to be a combination of fried food and walkers' shoes and I couldn't wait to get back out into the fresh air. Some other reviewers have described the service in the pub and campsite to be unfriendly, but I didn't find this to be the case. My only other complaint is that you can only get the advertised price by booking by phone; if you book online there's a £2 surcharge to pay for their computer server(!?!). The location of the site is enough that I'd forgive any other small faults and I wouldn't hesitate to return. Site is located in a great central place for the lakes. The CL is spoiled by two issues. Firstly it is crowded by trees so you have little or no views of the beautiful surroundings which was a real shame. Secondly we found a frequent strong smell of sewerage. As dog owners initially we where impressed as we pulled into site by a sign indicating dog walking area on the bank close behind the CL site however when we first used it we discovered it was covered by a sewerage outflow form the pub which is what we could smell... Quite disgusting to encourage dogs and owners to trudge through open sewerage which had obviously been that way for years rather than months. Not recommended if you have any sense of smell or are bothered by hygiene. What a shame!